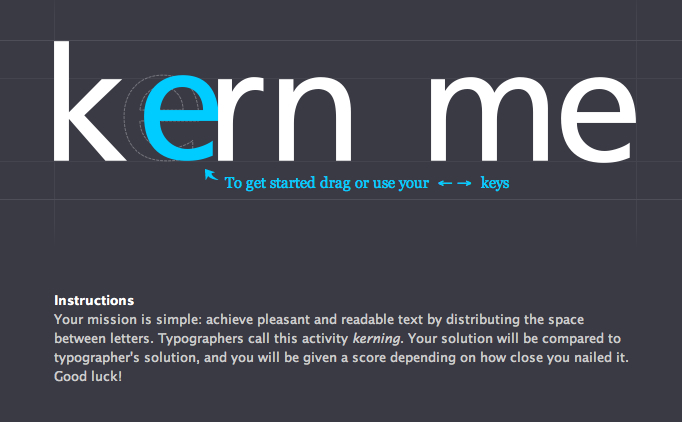 For those of you who know about kerning, you might like to try your hand at this. And for those who don't, it will help explain what it's all about. Let me know your score. And I might reveal mine.